Chishimba Kambwili has applied to be joined to the case in which PF secretary general Davies Mwila has sought judicial review to challenge the Speaker’s decision not to declare the former’s seat vacant. Kambwili who is Roan PF member of parliament argues that the court needed to give him an opportunity to be heard. According to Kambwili’s affidavit filed in the Lusaka High Court principal registry, the case commenced by Mwila against the Attorney General was a proper case to join him because the proceedings were on whether or not his seat should be declared vacant. He said none of the parties would be prejudiced if he was joined to the proceedings, adding that if all interested parties were heard, it would bring finality to the arguments. 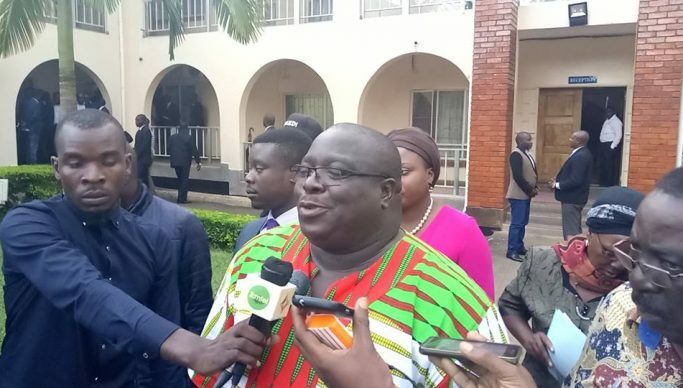 Kambwili stated that any decision made in respect of the proceedings bound directly affect him and his rights and interest as member of parliament for Roan constituency. He further stated that it was in the interest of justice to join him, adding that it would bring finality to the same as all interested parties would be heard in respect of the matter once and for all. Both Chief State advocate Joe Simachela and National Assembly deputy clerk-procedure Cecilia Sikatele have urged judge Mwila Kombe to dismiss the PF’s application for judicial review. Sikatele submitted that the Speaker could not declare the Roan seat vacant because Kambwili’s expulsion case was now before the Court of Appeal.